Do We Stop to Notice Beauty? A man sat at a metro station in Washington DC and started to play the violin; it was a cold January morning. He played six Bach pieces for about 45 minutes. During that time, since it was rush hour, it was calculated that thousands of people went through the station, most of them on their way to work. Three minutes went by and a middle aged man noticed there was a musician playing. He slowed his pace and stopped for a few seconds and then hurried up to meet his schedule. A minute later, the violinist received his first dollar tip: a woman threw the money in the till and without stopping continued to walk. The one who paid the most attention was a 3 year old boy. His mother tagged him along, hurried but the kid stopped to look at the violinist. Finally the mother pushed hard and the child continued to walk, turning his head all the time. This action was repeated by several other children. All the parents, without exception, forced them to move on. In the 45 minutes the musician played, only 6 people stopped and stayed for a while. About 20 gave him money but continued to walk their normal pace. He collected $32. When he finished playing and silence took over, no one noticed it. No one applauded, nor was there any recognition. 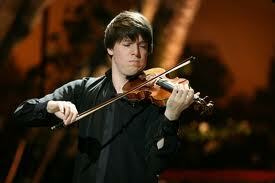 No one knew this but the violinist was Joshua Bell, one of the top musicians in the world. He played one of the most intricate pieces ever written, with a violin worth 3.5 million dollars. 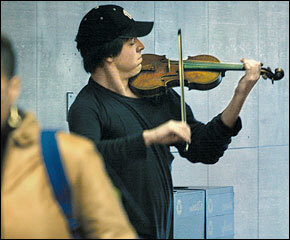 Two days before his playing in the subway, Joshua Bell sold out at a theater in Boston and the seats average $100. This is a real story. Joshua Bell playing incognito in the metro station was organized by the Washington Post as part of a social experiment about perception, taste and priorities of people. The outlines were: in a commonplace environment at an inappropriate hour: Do we perceive beauty? Do we stop to appreciate it? Do we recognize the talent in an unexpected context? One of the possible conclusions from this experience could be: If we do not have a moment to stop and listen to one of the best musicians in the world playing the best music ever written, how many other things are we missing?